Of course, by “fossils”, I mean ancient organisms preserved in stone. 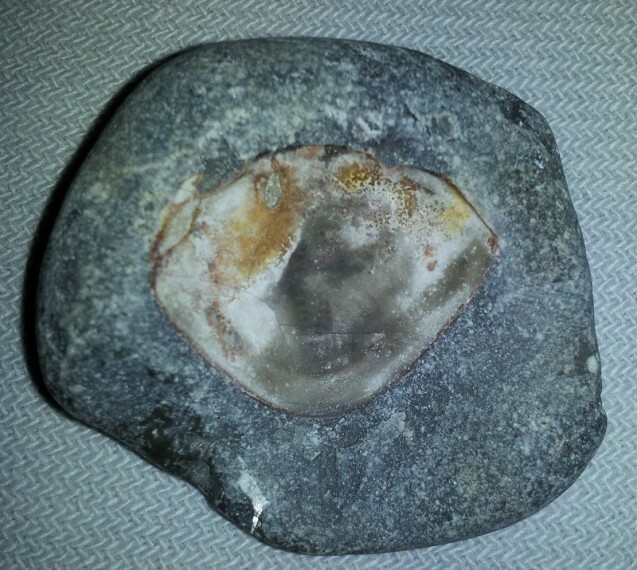 On a trip to Prince Edward County, we were given a tip for finding fossils at a beach in Wellington Ontario. This quiet lakeside town is on Highway 33 and it worth the visit even if you aren’t a rock hound. 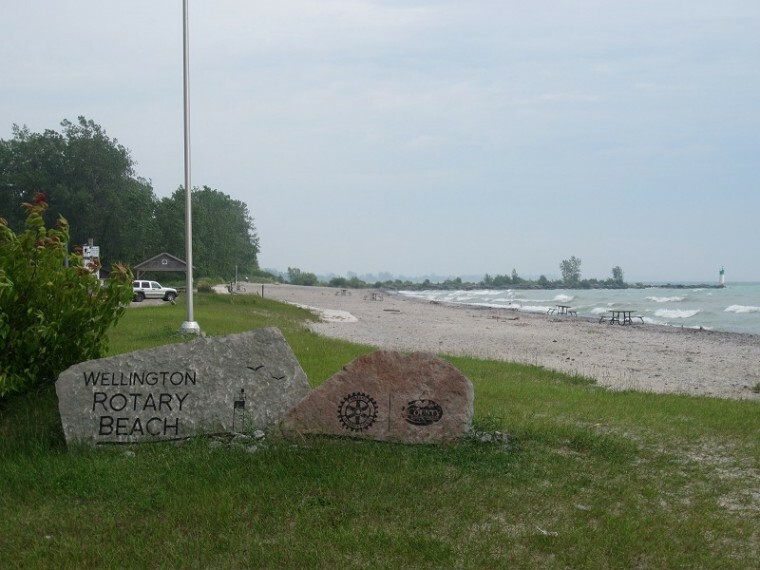 At the end of Beach Street, there’s a small park and beach called Wellington Rotary Beach. You can park for free and enjoy the wind off the lake and start turning over stones. Some have faint markings and other are more clear. On the day we went, the wind was up and it was threatening rain, but it was worth it to watch the waves crash on the beach. 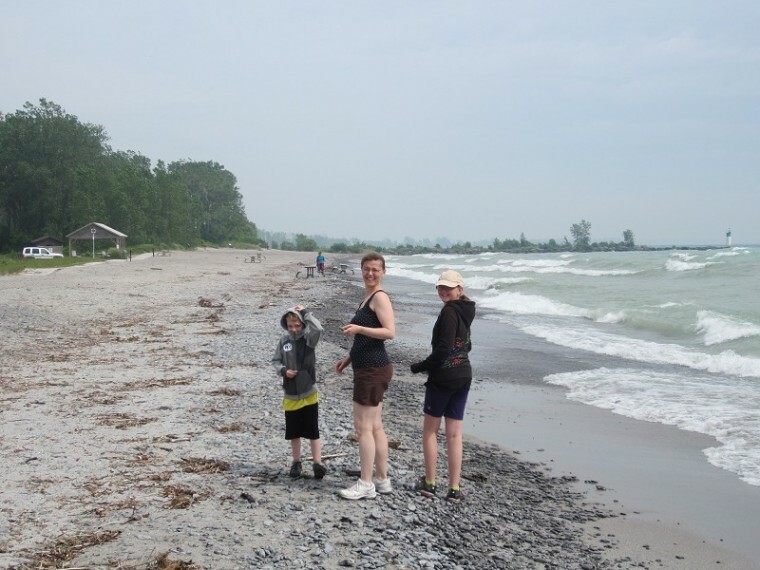 My industrious family members scoured the rocks for fossils and found a number of interesting samples. On the other side of the park, there’s the Wellington boat launch and public dock. On our windy day, this sheltered harbour was eerily calm in contrast to the other side. 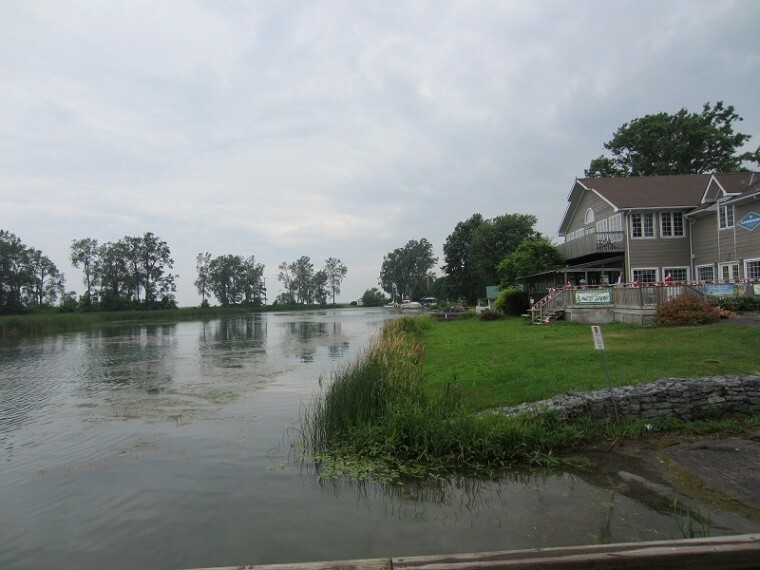 The boat launch area has a restaurant (Sandbanks Bar and Grill) and a bait and tackle shop called The Reel Thing Fishing Pro Shop. 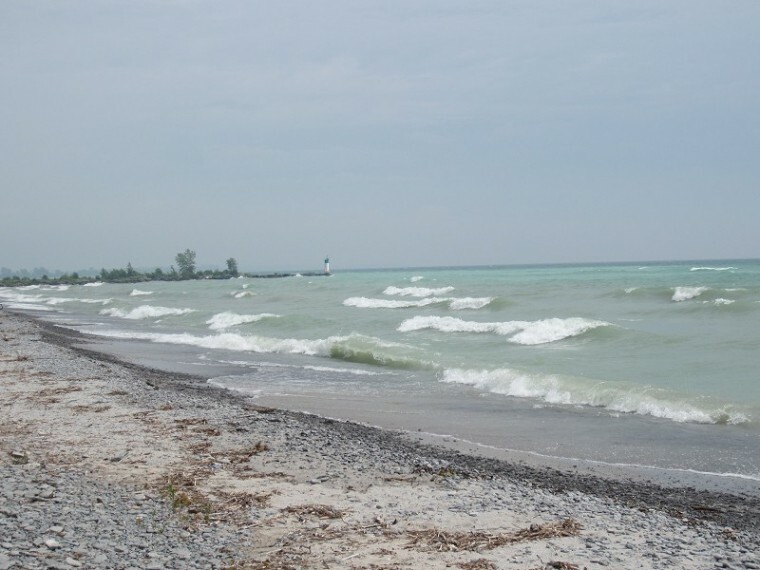 This is one of the many nooks (or maybe a cranny or too) that Prince Edward County has to offer.